These are the steps to Home Ownership, by Glen Godlonton. Use this detailed explanation, along with the free downloadable reference checklist (from the bottom of this page), to help you buy your home! This detailed explanation of the step-by-step process will help you understand the entire process! Make a decision to Buy or Rent: We will help you determine the right time to buy. Why pay someone else’s mortgage, when you can be paying your own? The city is expanding and growing in size, and the cost of living keeps climbing. Is it better to buy n ow, or save more for a down payment? We will discuss the options and the benefits of both. tactics to help you negotiate the best rate. There are a number of different types of mortgage products out there; now is the time to get the lender to explain them to you and to start to think about what is best in your situation. Please ask us any questions you have. Transfer Down Payment from Savings to RRSP: You will be encouraged to use your existing resources to be ready for use when required. When you purchase your home, part of the total purchase price will be in cash (down payment). You will use the remainder in the form of a mortgage. Usually, the down-payment (the non-mortgage portion) is split into two parts. The first part includes the initial deposit, and the deposit is required when we write the offer. The second includes the cash-to-close, and the cash-to-close is required two weeks before the possession date). If you are using RRSP funds for any part of the down payment, it should be transferred into your chequing account to be ready for use at the appropriate times. The amount of the deposit will vary with the purchase price of your home and the size or your mortgage. Typical down payments are between $5,000 to $15,000. Estimate the closing costs: You need to prepare for all the costs of buying a home, which includes the down payment, closing, moving and other costs. We will go over this in detail, including the after-purchase costs (moving costs, home inspection fee, lawyer, taxes, condo document review fee, etc). 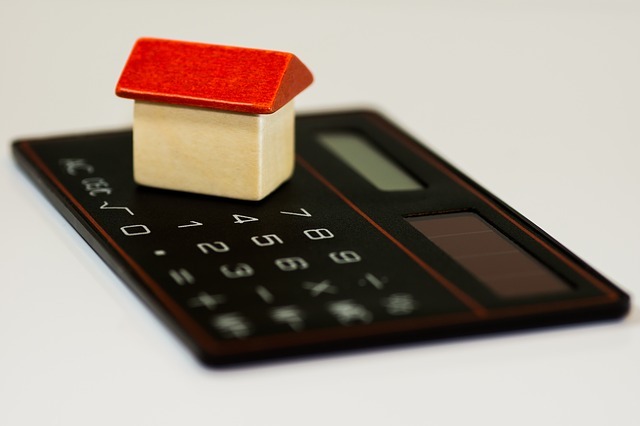 Finalize the Budget: We will help you finalize a complete housing budget. The budget must be one that you can comfortably afford, and it must include the principal, interest, taxes, insurance and utilities. Select Affordable Districts: Using your pre-determined budget, we will find all the neighborhoods (in and around Calgary) where you can afford to live. We will not show you homes that you cannot afford. Once we have lists of areas that fit your budget, you then tell us if these areas are suitable for your family’s needs. Make a Dream Home Wish List: We will find out what you have liked and disliked about your previous homes, and we will help you compile a wish list for your future home. Glen will help you make a “Shopping List” of the main features of your dream home. This includes specific requirements that you want in your new home (double garage, 3 bedrooms, etc.). Locating and Qualifying the Listings: Using the most up-to-date techniques and tools available today, our entire team will be searching daily to help locate the best homes that match your budget, neighbourhood & shopping list requirements. We will be searching manually and with the computer to locate appropriate matches. When we locate homes that match your requirements, we will then email or call you with all of the new listing as they become available every day. You will also have access to our Exclusive Client Services section on our Web Site www.Godlonton.com www.FirstTimeHomeBuyerCalgary.com www.InfillsCalgary.com www.InvestmentRealEstateCalgary.com www.DuplexesCalgary.com to review the neighbourhood trends as they change hourly. As you receive the detailed information on these homes, you can determine which homes you would like to view. You may even do a drive by on your own ahead of time, to ensure that the exterior and neighbourhood is to your liking. View Selected Homes: Our office will arrange an appointment with the sellers, so that you can view the selected homes. The viewing appointments will be scheduled at mutually convenient times (for both you and the sellers). All of our licensed team members will be available to show you the homes, which allows for maximum schedule flexibility. Once we start the showing process, and we view homes that you like, we can narrow down your requirements. You will determine which features are “must haves” and which ones are “nice to have”. When you look at a number of homes, it can be confusing as to which home had which feature. 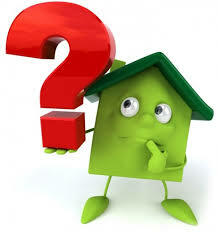 To help clarify the confusion, you will be encouraged to name each home, and to rate each home with a number from 1-10. We will keep only the top three homes on our shopping list at any time. Select a Home: We will help you “Shop and Compare” until you feel confident that we have found the best home for you. Once you find a style or type of home that you are seriously considering, we can arrange viewings of similar properties. This will help you compare price, areas, and particulars of properties. A great percentage of Glen’s clients find their home on the first viewing trip, because there are an adequate number of homes on the market. We determine your needs and select the homes that best match your needs. Don’t be surprised if you find your home quickly! determine Market Value: Appraisal & Evaluation: Before writing an offer, we will determine the fair market value of the selected home. We will evaluate the area of the interested property, and compare the price to all similar homes in the street/area. This allows you to see and determine the market value of the property for yourself. Write an Offer: Together, we will write an offer with your best interests in mind, and negotiate a fair deal for all parties concerned. The offer will be structured to minimize your risk. At this point, you should consider which lawyer you are going to retain for the transaction. We will have a number of recommendations for you. Accepted Offer: Once the offer is accepted, it will be checked for accuracy. Once you have retained a lawyer and mortgage broker, please provide us with the details. We will in turn provide copies to you, your mortgage lender and your lawyer. You may have your lawyer review the offer before conditions are waived. Once the offer is accepted we now have a legal contract with conditions. Typical conditions may be Home Inspection, Financing and review of the Condo Documents. The Seller now has the choice to change the listing to Pending on the MLS system or they may choose to leave it as Active and to continue to show the home. The Seller has the right to negotiate and accept a backup offer. This backup offer will only become valid if you decide not to purchase the home, because of a problem with the financing, condo documents or home inspection. Typically we will have a week to satisfy our conditions and give written notice to the Seller by means of a waiver form. Unless the Seller has a Sellers condition negotiated into the contract, there is no way for the Seller to legally back out of the contract from this point on. determine Structural Value: Inspect & analyze: I encourage you to hire a professional home inspection company to analyze the home for possible major defects or safety concerns. This will give you peace of mind and should be a condition of the offer. We will encourage you to attend the home inspection, so the inspector can familiarize you with the systems of your new home. You will not be expected to proceed if major expense is required to rectify problems. After the inspection, don’t use the information about minor defects to negotiate a lower price. 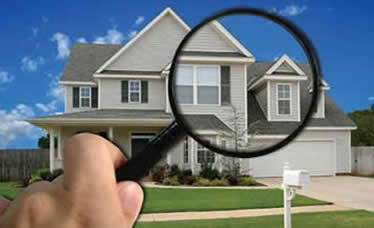 The Home Inspection ensures the home is structurally sound. You may be able to use the report again if you sell your home. review Condominium Documents: If you are purchasing a condominium, we will be requesting a number of documents from the seller. It is recommended to have a knowledgeable party review these documents with you. When you buy a condo, you are buying a piece of a corporation. These documents will explain the financial and mechanical workings of the corporation, the buildings, and the mechanical systems. Some people have their lawyer review the documents, or use a third party condo check list service. Deposit: When we write the offer on your home you will need to provide me with a deposit cheque, made payable to the selling real estate company, these funds must be available within 2 days of presenting the initial offer to the sellers. Most selling real estate firms are now requesting this deposit to be paid in the form of a Bank Draft. This money is held in the trust account of the selling real estate company and is used as part of your cash down payment on your home. Typically, no interest is paid on this deposit money while it is held in trust. Your deposit money will not be at risk during the conditional sale period of the contract. This means that deposit becomes non-refundable only after we have waived all conditions of the contract (such as financing and home inspection). The amount of the deposit will vary depending upon the purchase price of your home and the size of your mortgage. A typical deposit is between $5,000 to $20,000; the larger the deposit the more serious the seller will take you, especially in a multiple offer situation. Mortgage Approval: Since you have already been pre-approved in advance for a mortgage, this step should not be a problem. Our office will forward a copy of the sale contract and the listing information about your new home to the lender. The lender will review this information and may now ask you for additional personal information, such as letters of employment, bank statements, etc. It is important to get this information to the lender as soon as possible (as we only have until the condition date to get the approval done). The lender will review your documents and the appraisal, and then give us approval for the purchase of your home. 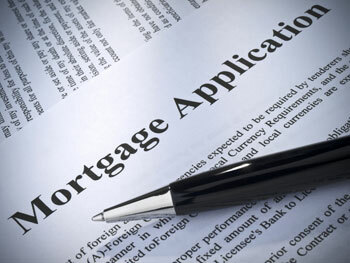 Please insure that your lender sends us a written approval stating you have been approved for the mortgage. There are many types of mortgage products out there in the market place. Some important features about the mortgages are: Interest Rate, Prepayment Penalties, Prepayment Options, Terms of the mortgage, Fixed or Variable rate, Capped or non-Capped. Some of these decisions can mean $1000’s over the life-time of your mortgage. A good mortgage broker can save you significant money over the life of your mortgage. As the Financial rules change in the Canadian economy, the lenders are now asking for more and more documentation than ever before. Do not be upset if the Lender comes back asking for more details – it is typical. Lately the banks have been asking for a 90 history for the down payment funds: if the money has not been in one of your bank accounts for more than 90 days, you need to prove where it has come from. If you are going to collect money form a number of different sources, it is better to get this money collected in one account as soon as possible to comply with the 90-day tracking rule. If you are getting this money from an insurance settlement, keep all of the relevant documentation. Appraisal: Typically, your mortgage lender will have the home appraised by a certified professional appraiser. This is a standard procedure, and it is for your protection. The lender has pre-approved you for a mortgage amount (based on your salary and expenses). The lender wants to ensure that the purchase price for the home is reasonable, based on today’s market conditions. CMHC Approval: Canada Mortgage and Housing Corporation (CMHC) is a division of the Federal Government that insures home purchases for Canadians. Typically, the banks require a 20% of the purchase price (as a down payment) before they issue a mortgage. However, if the home is your primary residence, CMHC will sell you insurance, and will then allow you to purchase your home with as little as 5% down payment. The price of the insurance coverage is rolled back into the mortgage amount. This means you do not have to pay the insurance directly, unless you choose to do so. Since CMHC is insuring your home, they also want to approve the home and mortgage. The lender typically takes care of this application and approval step. Keep in mind that CMHC does not approve some types of housing and condo projects. These rules change, so ask Glen for the current details. Accept Lender’s Offer & Commitment Letter: We will encourage your lender to finalize all mortgage negotiations in writing, and encourage you to keep the commitment letter on file for future reference. When you are speaking to the lender, please ask the lender to forward the approval letter to our office. Real Property Report & Title Insurance: In Alberta, the standard Real Estate purchase Contract places all responsibility on the Seller for the cost of a valid policy of title insurance or a Real Property Report with a compliance stamp. A real property report is a document created by a land surveyor, and it shows the location and sizes of all improvements on the property. Your lawyer will review the survey with you. Please ensure you keep a copy of the survey in your files, for future use. Remove Initial & Final Conditions: All of the conditions on the purchase Contract expire at a specific date and time, which we negotiated when we initially wrote the contract. We, as buyers, must inform the seller in writing before the expiry time that we waive that specific condition. If these conditions are not waived, and there is a valid reason for not waiving them, the contract now becomes dead, and the deposit funds are to be returned to the buyer. In some cases, with the agreement of the buyer and seller in writing, it may be possible to extend the condition dates. We will have you sign the Waiver forms, and we will e-mail or fax them to the seller’s agent before 9.00 pm on each of the condition days, as well as your lawyer and mortgage broker. When the last waiver is signed and sent, the sale of your home now becomes a FIRM SALE and the sold sticker goes on the For Sale Sign. Once all conditions have been waived, the deposits are now non-refundable and you must complete on the purchase. If you do not, you will lose your deposits and may possible become legally liable for any losses incurred by the seller. Lawyer Prepares Documents: If you have not already done so, you must choose a lawyer to represent you. If you do not have a lawyer, we can recommend a number of firms for you. Choose a lawyer that specializes in Real Estate Law. Our office will send all of the contracts and documents to them. The lawyer will also receive all of the mortgage documents from your lender. The Lawyer will then prepare the documents for you to sign. Please call your lawyer to start the conversations between yourself and their office. This will ensure that there is no miscommunication, and you will both confirm that you are working together. be held in the lawyer’s trust account, until it is transferred to the sellers’ lawyer’s trust account on possession date. Make sure you get in to see the lawyer as early as possible, to prevent any problems on possession date. Insurance: We will encourage you to consult a general insurance agent and a life and disability insurance agent, so you will have proper insurance in place prior to possession day. 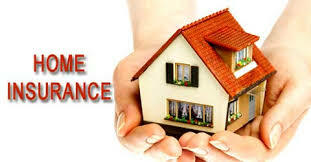 Your lender will require you to have fire insurance on your new home, with them listed as first payable. You should also have a general home-owner’s policy covering your home and contents. Some of the lenders will also try to sell you mortgage insurance, to pay off the mortgage in case of a death. Check with your general insurance agent as they can generally provide better coverage for a cheaper rate. Have your insurance lined up before you go in to see your lawyer. You may also wish to discuss home owner’s insurance before you waive the conditions on your home if the property is in a high risk area (flooding) or has older electrical or plumbing systems. In some cases upgrades may be required before your home may be insurable. Sign Documents at Lawyer’s Office: If you do not hear from your lawyer two weeks before the possession date, call the lawyer and set up an appointment to sign the documents. The lawyer will explain all of the documents to you in detail. They will also have all the mortgage documents from the bank for you to sign. Our office will contact the lawyer seven days before possession, to ensure that all documents have been signed, and to get an update on the progress of the file. 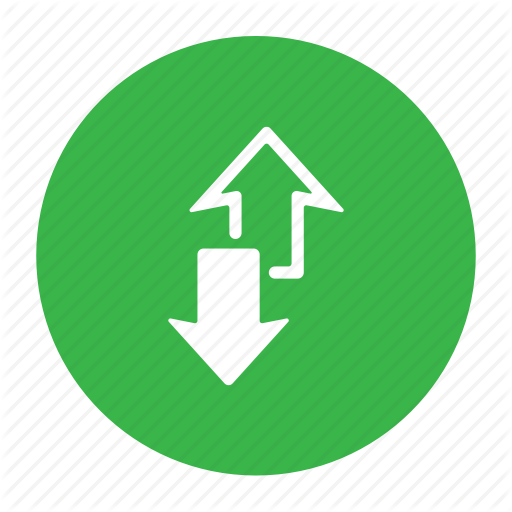 Release of Keys: On possession date, our office will be informed (by the seller’s lawyer) when the Keys are releasable. This happens after both lawyers are satisfied with the documents, and the transfer of the funds etc. This typically happens the morning of possession date. Remember, the sooner you meet with the lawyer to sign the documents, the smoother this process will go. Walk-Through & Possession Date: Once we know the keys are releasable, and we have the keys in our possession, and at an agreed upon time after 12:00 (noon) on the possession date, we will meet you at the home, and we will complete a pre-occupancy inspection. We are looking to see that the home was left in a state similar to how we viewed it, and that all chattels and appliances have been left as per the purchase Contract. We will report any problems to your lawyer. At this time, we will also record all of the utility meters and you can call them back in to the providers. Legally we can enter the home any time after 12:00 noon but not before. Please do not ask if we can start to move in early: this is NOT possible. We do not have to enter the home right at noon: any time in the day or after work is fine. If you are out of town, we can go in and check things out for you. Please Please Please give yourself enough time to move into your new home, so you have time to get out of your old home and clean it in time. Always try to overlap possession dates by a couple of days, so you are not in a panic, in case there is a hold up getting into the new house. Sometimes it happens and there is nothing you can do about it – so be prepared. If possible, try to schedule your moving mid-week, and not on the 15th or end of month when everyone else does, so that movers and trucks will be available and, possibly, be cheaper. It may cost you a little more to overlap the possession dates, but you will thank yourself when you have the extra time to move. Trust me, it always takes longer to move than you think it will. In some cases it is possible to do a pre-possession walk-through of the property the day before possession or the morning of possession. But we need to request this in the initial offer when we purchase the home. Re-Key the Doors: You will need to re-key your door locks at the earliest possible time after possession day. We suggest that you have a locksmith booked for the date of possession for your security and peace of mind. Final Document Set: After possession, we will send you a complete set of contracts etc. that we have in our office. Please take all of your other legal and lender documents, and put them in this folder. This ensures you have all of the documents relating to the sale of your home, together. These documents will be important when you want to sell your home. Follow-up: Glen will follow-up with you during the first two weeks after taking possession of your new home, to check that all went well. Glen will also see if he can be of assistance to you in any way – whether it be for the name of a handy man or an insurance company. We will try to be of assistance in any way possible. It is very important that we get feedback on how we performed, as we are always tying to improve our services. Remember, if we did a good job for you, please refer our services to a friend for buying or selling real estate. If we didn’t meet your needs, please let Glen know! Glen will also place you on the mailing list, to keep in-touch on a regular basis. If you have any questions, please feel free to call us. Remember to download your free checklist!